NASA is getting ready to launch astronauts to space again - this time using a specialized launcher, comprising a cannon, a trampoline and an intricate set of springs. The new launcher will be replacing the antiquated and unsafe space shuttles for a fraction of the cost, while limiting the risk to one crew member at a time, as depicted below. After initial difficulties to locate an enthusiastic test subject, NASA spokesmen, Jon Con, announced that the appropriate volunteer will get plenty of publicity for doing something crazy. Within a day, scores of celebrities, including Robin Williams, Jim Carrey and Gallagher, have lined up for the part. After a fierce, 'Survivor' style competition, the dark horse (or, perhaps the dark fowl) was Gonzo the Great, world renowned / notorious for his Muppet Show stunts. The first test flight (code name “Be gone Gonzo”) is scheduled to lift off from Fake Canaveral next week, pending completion of extensive paperwork, such as insurance waivers and a living will. “I spent my entire life trying to prove that I am no chicken" - said Gonzo the Great in a special interview to the LEEK - "and finally I got my chance". "Everybody knows that chickens can’t fly”, he added, intensifying the mystery that surrounds his specie of origin. In a later statement, Gonzo announced: "During my flight, I plan to look for my long lost friends – Pigs in Space”. 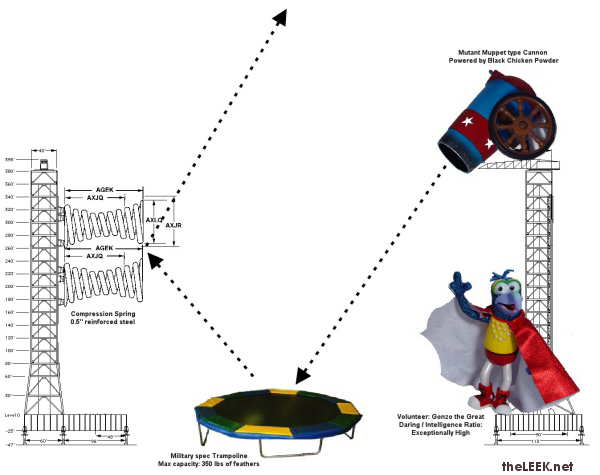 NASA has also revealed a new design for a space station, specially engineered to improve the safety of its astronauts (see below). 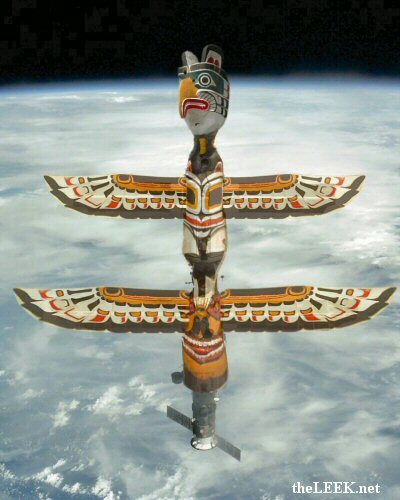 According to NASA engineers, this new Totem Pole design is guaranteed to protect the space station from the bad luck that haunted their previous projects. 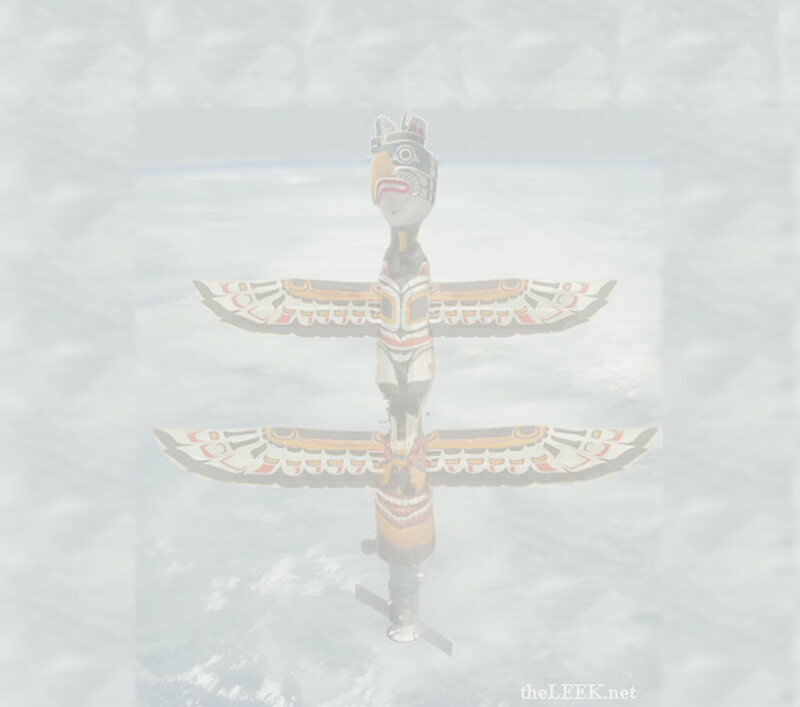 Some experts have noted the resemblance of this new space station’s head to Gonzo the Great. It has been theorized that the station was intended to double as a monument in case the cannon launch does not yield the expected outcome.